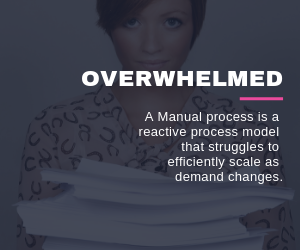 Many of our clients have told us the process of capturing all Medicaid patients throughout the revenue cycle process is too overwhelming. Your front office staff probably works hard to verify the patient’s insurance at the time of service and may even assist self-pay patients with enrolling for Medicaid, but what happens after checkout? A time-consuming process of continually monitoring self-pay visits and patient Medicaid enrollment status. This daunting manual task results in many billable opportunities going unnoticed and written off as bad debt or timely filing adjustments. With new compliance standards and decreasing reimbursement rates, revenue generating tasks have become a priority for all healthcare organizations. Capitalizing on every billing opportunity's essential. The paragraphs below will explain the various bottlenecks that contribute to the loss of Medicaid revenue and how Emerald created a solution that's changing healthcare. Years ago, Emerald discovered an untapped healthcare billing opportunity while performing AR services for healthcare providers. We found that Medicaid eligible accounts identified as Self Pay were continually sent for Patient Billing and Collection services. But why? Why weren't they discovered before they were marked self-pay? When we asked our clients why they thought so many were missed, all of them expressed the same sentiment. It's too much work to catch all of them. Knowing they could benefit from additional revenue, we set out to solve the problem. 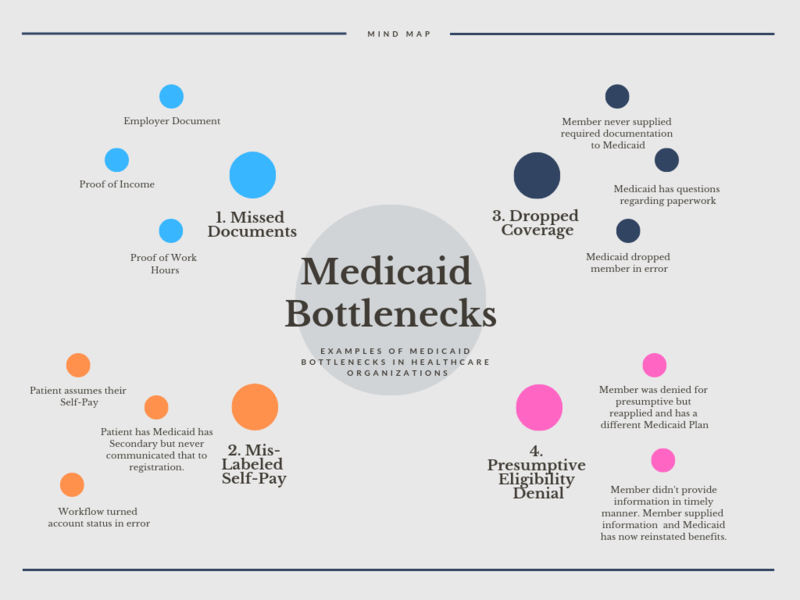 Understanding common ways healthcare misses Medicaid eligibility helps healthcare billing departments refine their Medicaid identification policies and processes. Needle in a Haystack- Where are the opportunities? Many patients will sign up for Medicaid, spend hours filling out papers, but forget a key document. The patient will send their paperwork in assuming they have completed registration and are now covered by Medicaid. Eventually, the patient may find out they missed a document, but Medicaid doesn’t recognize the services the patient received until they receive the missed document. Some patients assume their eligibility would be denied with Medicaid. When they show up for a visit at a health clinic, they’re labeled as “self-pay”. After their first appointment, they may find they could qualify for Medicaid, so they start the enrollment process. Medicaid approves their enrollment application, but the patient gets busy with life and forgets to tell the clinic of their recent change in coverage. Meanwhile, the clinic continues their attempts in collecting the balance. The patient receives their calls and statements but continually forgets to follow up. Then, one day, the patient remembers the bill, calls the clinic communicating their change in coverage but it’s too late. The bill is now denied for coverage and by law the clinic has to write-off the balance. In order to keep your Medicaid coverage, a patient must update their information periodically with Medicaid. If this information isn’t communicated within a timely manner, Medicaid will drop their coverage. Once the information is received coverage is reinstated. Unfortunately, the patient may have had services at a health clinic during that period but the clinic’s not aware of the reinstatement. If the patient is not presumptively eligible and needs to complete a standard Medicaid application, and then qualify for benefits, it is sometimes possible to qualify for retroactive benefits. If approved, this will often allow patients to be eligible for coverage up to three months before their application date. In these cases completing a manual application with the client and then helping them follow up may be in the clinic’s best interests. Implementing Medicaid Eligibility Automation within your organization can have a tremendous impact on revenue, employee satisfaction and patient experience. Reduced staffing our clients within 24 hours as opposed to 5-6 business days performing them manually. Decreased internal call volumes. Patients are no longer calling to provide Medicaid information. Increased patient satisfaction. We rarely receive calls from angry patients calling to tell us they have Medicaid. Save our clients time. Our clients no longer spend so much time manually moving accounts to timely/bad debt. Simplifies the patient billing experience. This is Emerald's mission. Patients no longer receiving calls or letters for bills they don't owe simplifies the billing experience. Do you audit every Self-Pay account periodically, checking for missed Medicaid opportunities? If the answer is no, try Claim Miner’s trial search. It’s FREE and it provides a summary result file giving decision makers the data they need to address the problem. At Emerald, we don't like to start services until we know they add value to your organization. If your healthcare entity is tired of "biting off more than you can chew" with Medicaid eligibility, or you're unsure whether your organization has a Medicaid problem, schedule a quick 30- minute meeting with one of our Medicaid Consultants. If Medicaid issues are identified, we can start ClaimMiner batch searching on a scheduled basis. 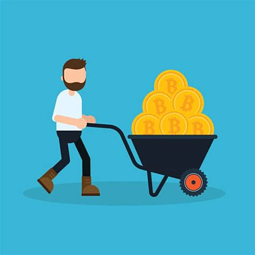 ClaimMiner's implementation is minimal and can be set-up in less than 48 hours. your billing staff will no longer have to spend time on the phone with Medicaid or on their website looking for patient eligibility. 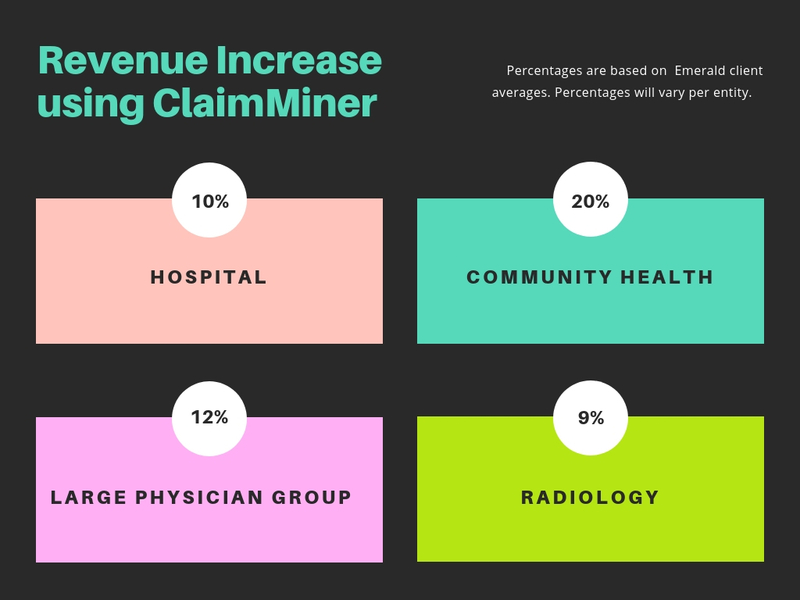 Join other leading healthcare providers and experience the benefits of using our ClaimMiner service today.